The core of marketing is to establish communication between your company or brand and your audience, the customer. Within that, your brand story is your company’s narrative – the thing that defines your identity as separate from your competitors. It is more than an ‘about us’ page on your website, or your choice of expression on social media. It extends to every interaction that occurs between your brand and the world, from the tone of your flagship product launch to every launch thereafter, to the color scheme of your logo and the language of your advertising content. The key to an effective brand story is not to boast at length about what your company represents or why it is better than the competition, but to express what you stand for and how you’ll serve your customers. A taciturn brand story is the equivalent of small talk; the basics are covered and people can pick your brand out from a crowd, but no real connection is made. An engaging brand story expresses the personality behind the company, translates its origin into an evolving account born of deeper motivations, and leaves a lasting impression on its audience. Great brand stories disavow the impulse marketing of ad campaigns and aim directly for the heart of their audiences. Your consumers are, after all, real people, and it is human nature for them to seek their values and ideals reflected in the products they consume. You might be thinking that this is limiting your audience, and to a degree it can be (but it’s not a bad thing). The default mode for most business owners is usually to try and appeal to as many people in as many demographics as possible. This can work, but it is expensive and short-sighted. By trying to appeal to everyone you might end up appealing to no-one. Instead of trying to be “liked” by many, a more effective approach for building long term customer value might be instead to try and make a few people “love” you. These type of customers will will stay longer, spend more and share your story with others. Any organization can make claims of “starting small and growing through hard work and dedication to our customers,” but none can tell the same specific tale about how your company came to be. That is, your personal reasoning for getting into the industry, the establishment of your brain trust at a specific college, the specific trials and rejections suffered before breakthrough, are unique, and your own. Your mission, values and perhaps the ‘injustice’ you are correcting through your business are the core elements with which your market will resonate. When most people think of Apple, it isn’t necessarily the technical specifications of their products or the person-centric nature of their operating systems that comes to mind. It’s usually a combination of that and the story of Steve Jobs. The Apple logo and brand have separated themselves from what is considered “generic” computing by attaching a story to their brand. The story of Apple not only places the company in the realm of the originators in its industry, but much like the name Steve Jobs, it is associated with innovation. This, along with the quality of their products, is why Apple has remained a brand that is synonymous with elite hardware since the mid-1980s. Today, they are worth more than Switzerland. Apple purchased the headphone brand Beats by Dre’ in 2014 for $3 Billion. Let that sink in for a minute. They weren’t paying for its superior design compared to other less-expensive headphones on the market, they were buying the story of Andre’ Young, better known as Dr. Dre. Young’s rags-to-riches story is an oft-used narrative among his peers, but few evoke the same sentiment of unlimited possibility among young producers and artists. Also, by paying him three billion Dollars for his brand, Apple created a happy ending to the narrative themselves. One common misconception about branding is that companies are responsible for creating their brand identities. While this is true in part, the literal inference of a brand is an image generated by consumer reaction to a product, which is dictated by external perspectives. Feel free to deliberate and experiment behind closed doors and in control groups, but everything you release to the public should be generated with this understanding. While the identity of a brand is ultimately decided by the public, you have control over the message that is put forth, and any inconsistencies within that message threaten to interrupt your company’s narrative. Spend a few days brainstorming the reason you started your business. What do you stand for? What do you stand against? Who has helped you along the way? How did you feel? What were the struggles and victories along the way? If you’re having trouble articulating your story, use the “Made to Stick” Formula. 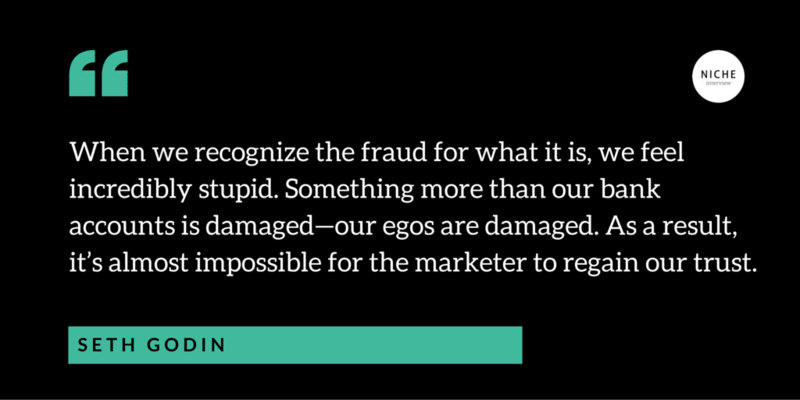 Read Seth Godin’s book, “All marketers are liars”. Honesty is always the best policy. Be open about your story, talk about your struggles and you will find people are more likely to relate to you. 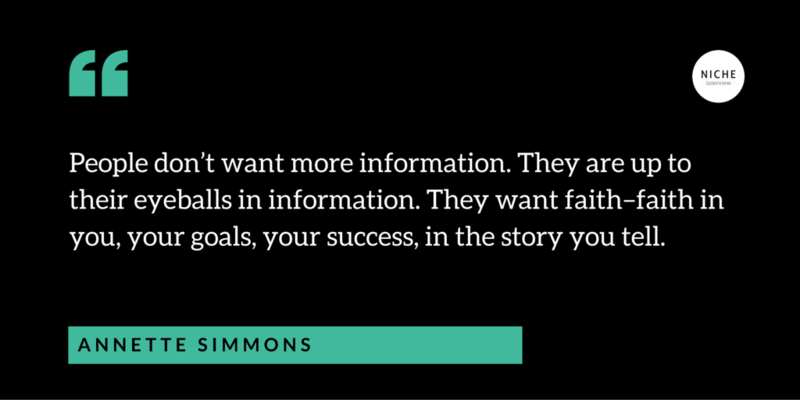 Focus your brand story on the customer rather than your company’s interests and aspirations. Remember, the purpose of the story is to connect, and connections only work if they travel in both directions. Institute consistent language and tone for all your outgoing communications, as this will express your brand’s personality and form the integral part of your brand story. The voice of your customer service rep should mirror that of your CEO. Be original. Straying from the beaten path is a scary proposition, but if you need inspiration for an original approach to marketing, see: Apple, Nandos or Virgin. 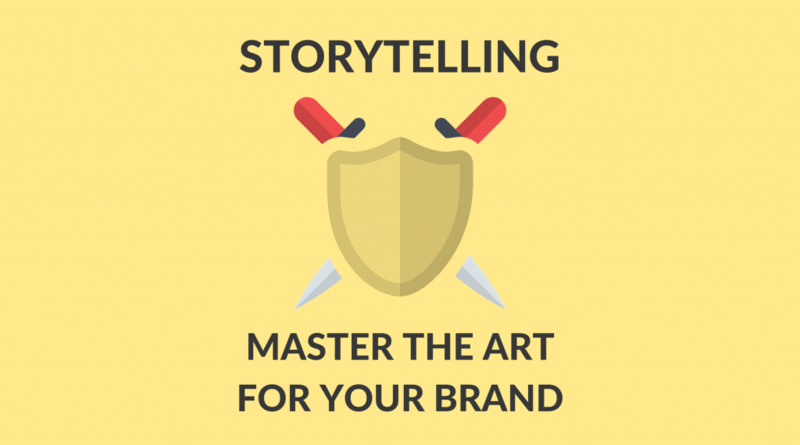 Are you telling a good brand story? Your consumers are real people, and it is human nature to seek their values and ideals reflected in the products they consume.